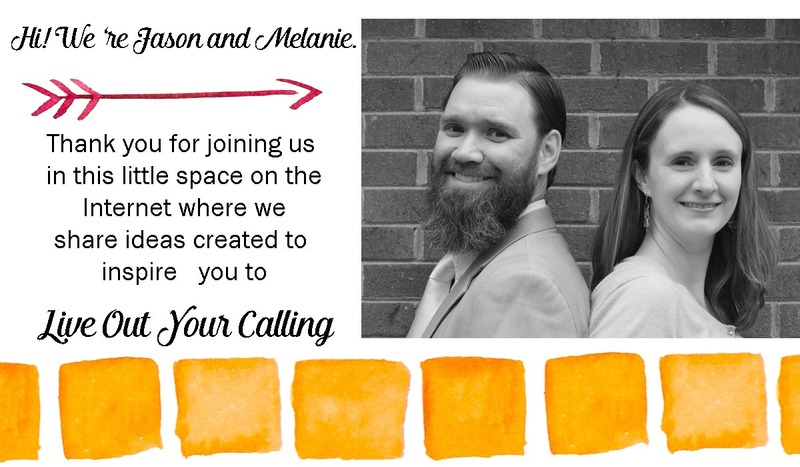 Ya’ll, you know that you can stamp on wood, right?? 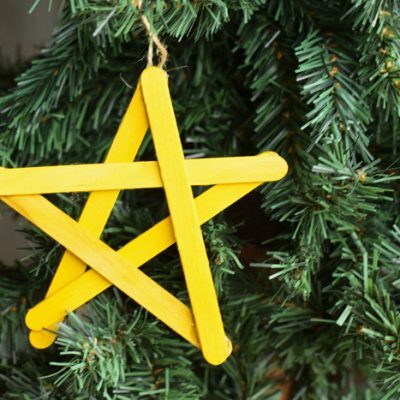 It’s something that I’ve only tried and discovered this year, but I’m finding it to be a nice way to add words or other additions to wood tags, etc. 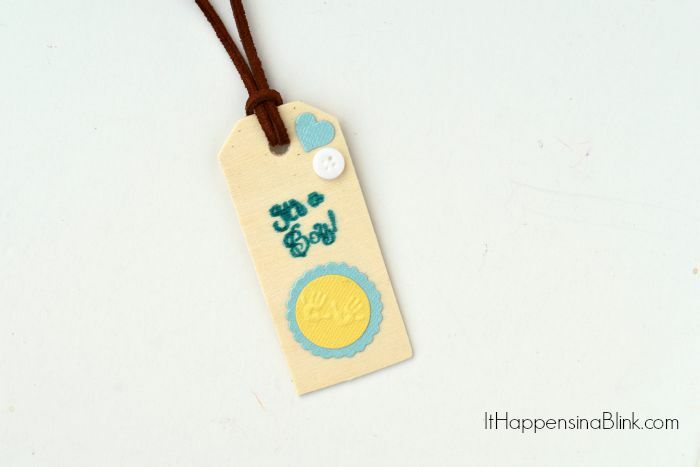 I attended a baby shower this weekend, and I added this Stamped Wood Gift Tag to the gift. 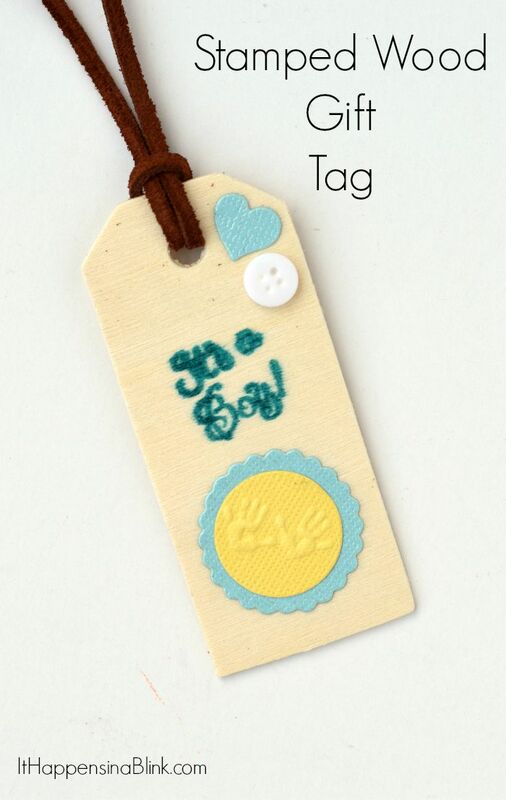 Wood gift tags are a nice accessory, especially if you know the recipient scrapbooks or makes keepsake boxes. 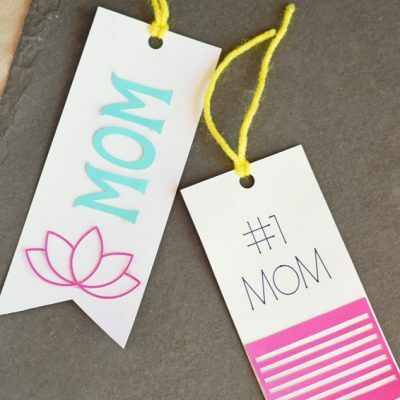 The tag can be a part of the gift and something to save. I’m using my PSA stamp today as part of the PSA Essentials Design Team. 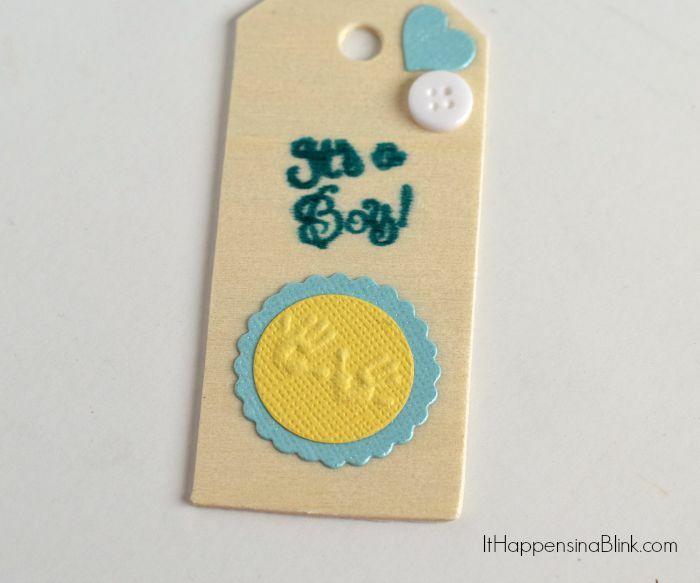 Gift Tag embellishments- you can make your own or buy them pre-made. 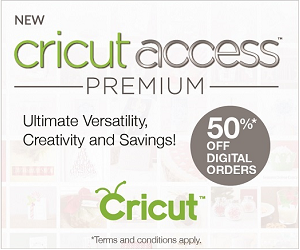 I am using a few pieces from a David Tutera pack that I purchased from ConsumerCrafts.com. 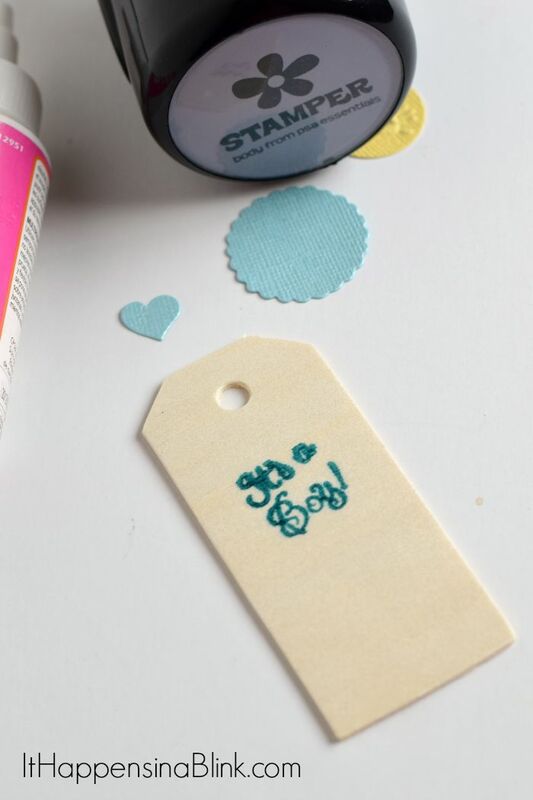 A few ideas for embellishments include buttons, paper shapes, washi tape, sequins, ric rac, and glitter tape. Begin by prepping your stamp. 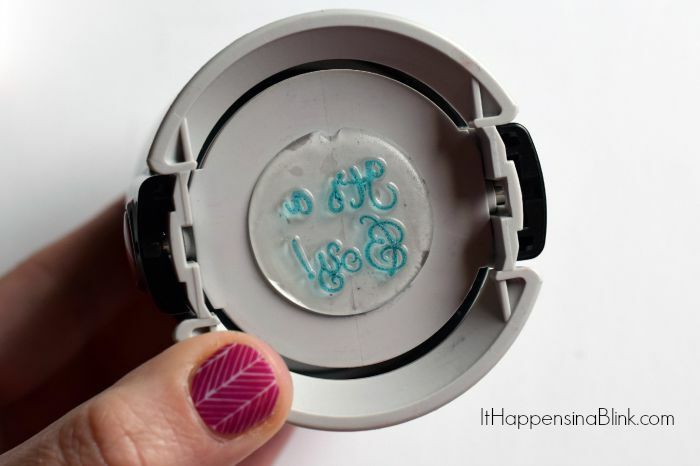 If using the PSA Essentials products, load the stamp body with the ink and stamp. Apply the stamp to the wood tag. 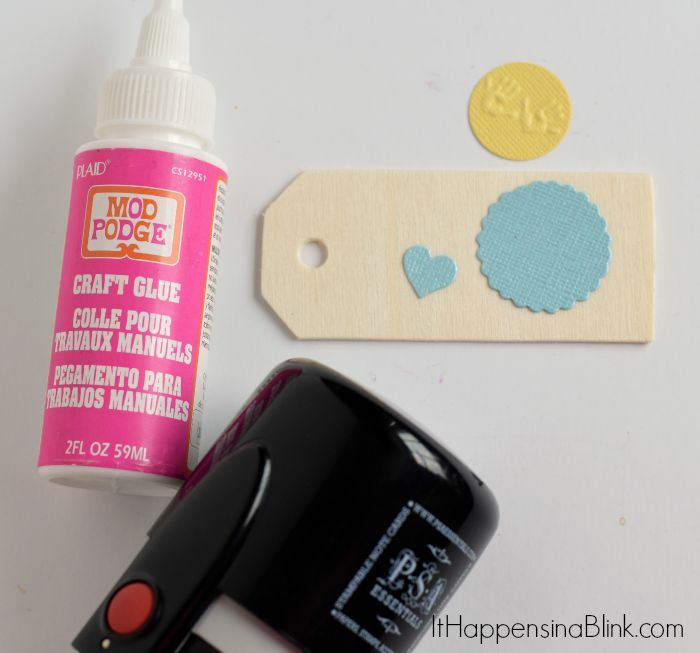 Use the craft glue to attach all the embellishments to the tag. Let the glue dry completely. 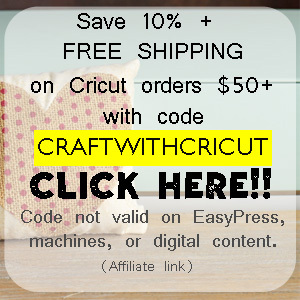 String ribbon or leather strapping to the gift tag. I like using leather. I think it adds a nice element to any gift. 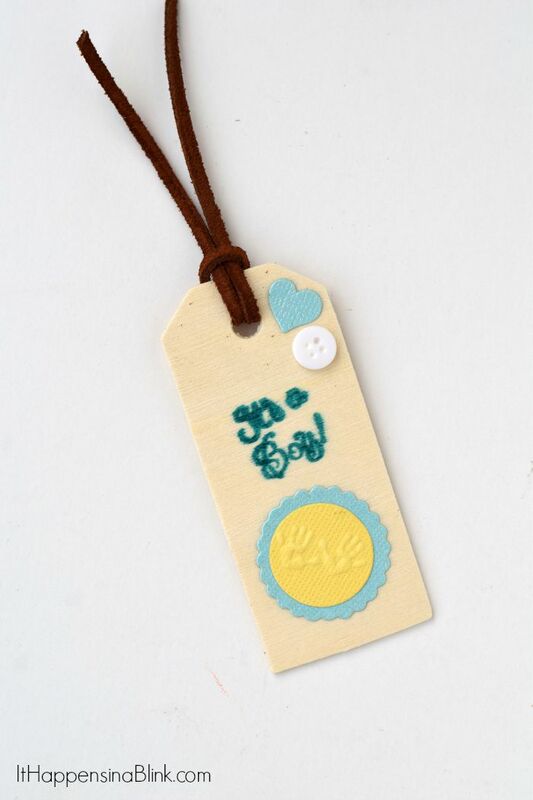 What embellishments do you like to use on gift tags?